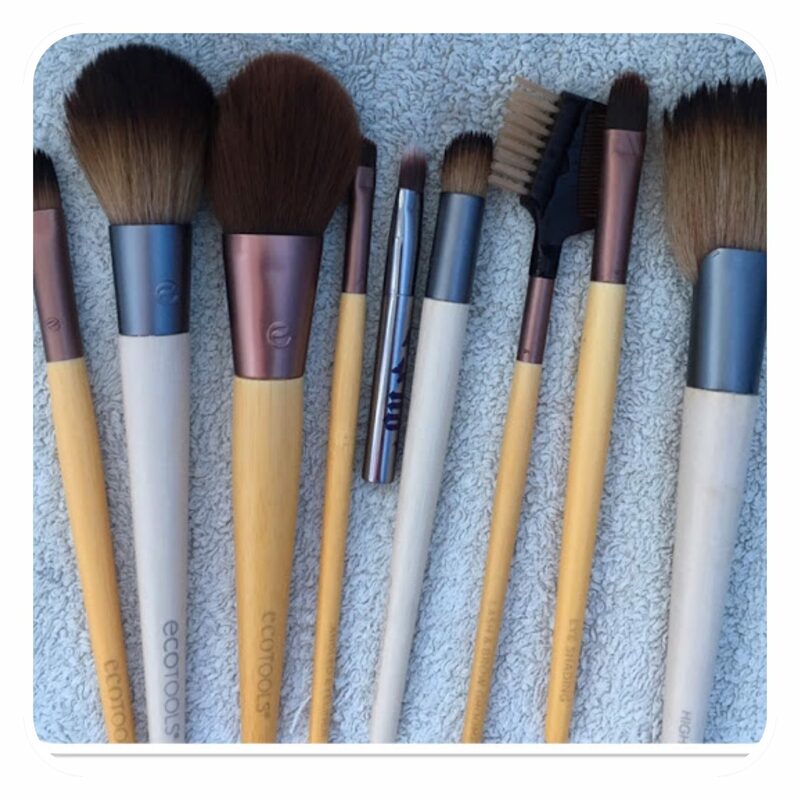 Today’s Tip is all about cleaning you’re makeup brushes. I know most of us girls don’t clean our brushes every month the way we should, to keep them hygienic and clean. I think for a lot of us girls it seems like such a time consuming and tedious job but it has to be done unless you like to spread bacteria all over your face. What do you need to deep clean your brushes?? 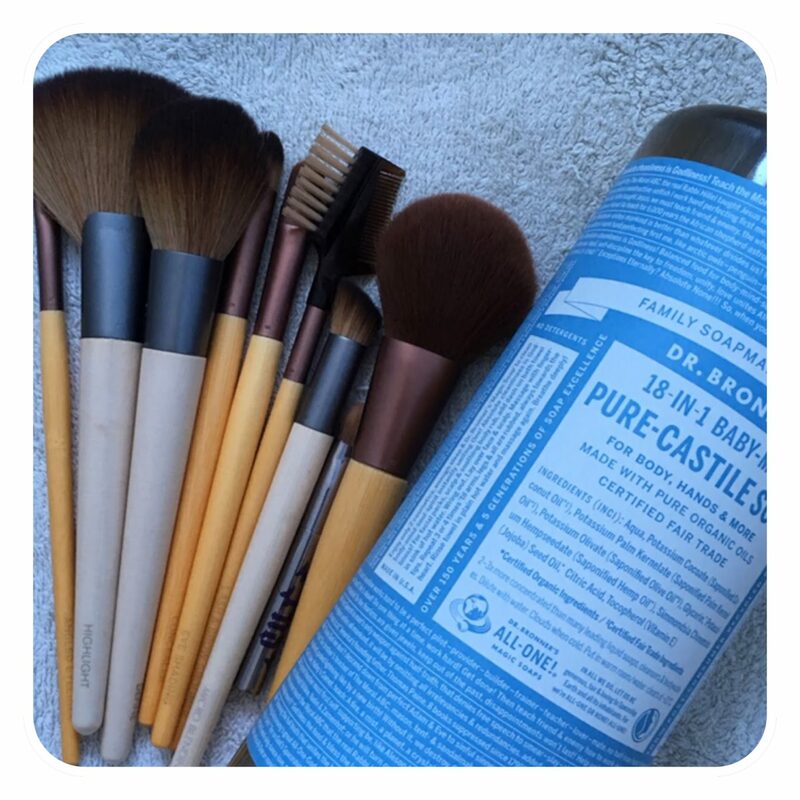 Dr. Bronner’s Castile Liquid Soap or your choice of cleaning product. 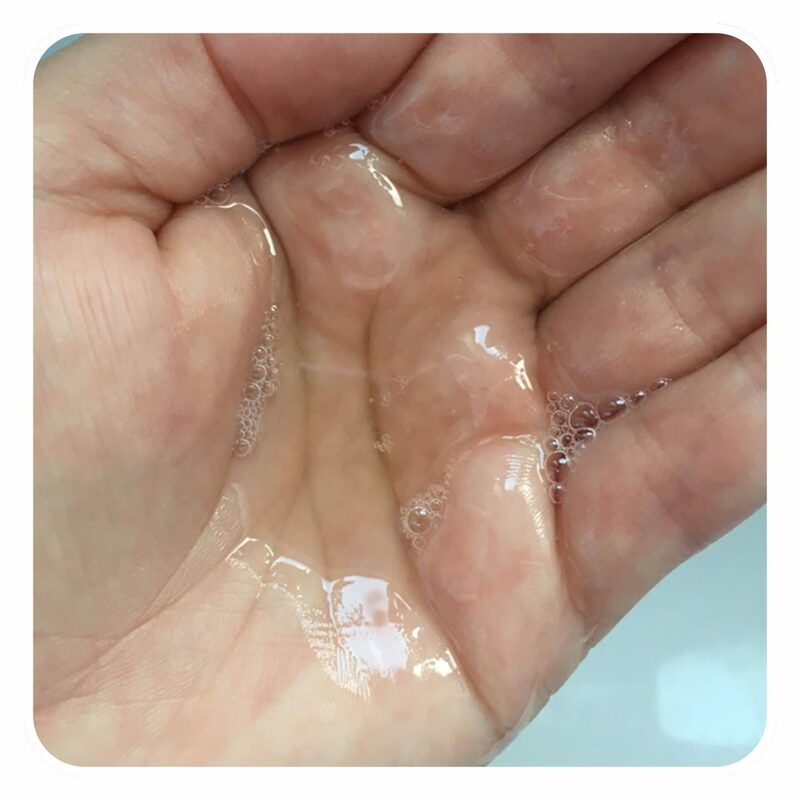 I use Dr. Bronner’s Baby Mild Castile Liquid Soap. It’s the unscented one. I love this for deep cleaning my brushes because I find it keeps my brushes soft and they even smell good. A good hand wash with anti bacterial properties can also make a good brush cleaner. Lay out all your dirty brushes ready to start cleaning. Dampen the brush slightly with warm water. Start swirling your brush around on the palm of your hand, occasionally adding a little bit of water to later up the product and allow the brush to be thoroughly saturated. Rinse your brush. Make sure you don’t go above the metal otherwise your brush will start to fall apart. Squeeze out and watch all the foundation drip away into the plug! Repeat if necessary (sometimes the dirt is just stubborn and refuses to disappear). Just remember to turn off the tap between cleaning and rinsing because we don’t like waste now do we?? 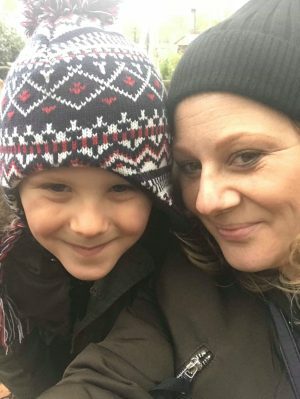 I really hope this has helped you and you enjoyed this post. Just remember it’s important to keep our brushes clean because it stops us spreading bacteria across our faces which can cause breakouts. How many of you will be running to grab your brushes and give them a good clean? ?